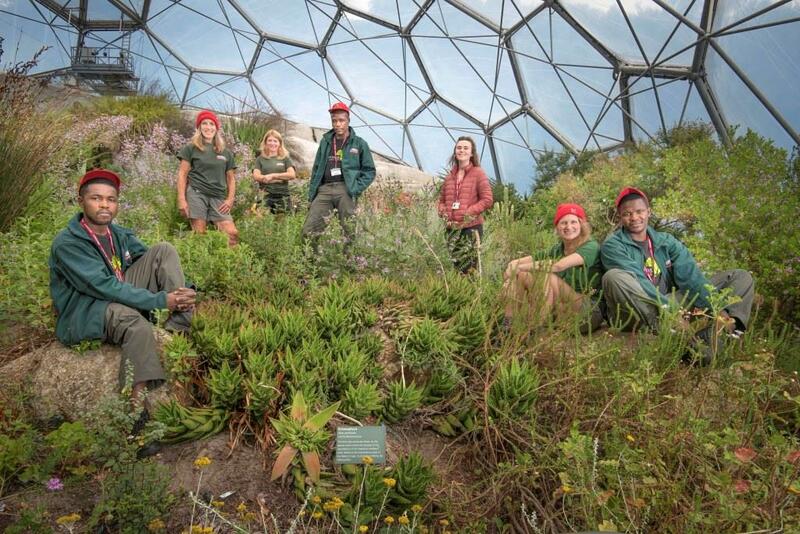 The Eden Project has welcomed three horticulturists from South Africa as part of partnership with a nature reserve on the Western Cape. Olwethu Mankai, Dumisani Silwanyane and Khaya Madlebe are spending two weeks on work placements at Eden, learning about the project’s plants and the work of the horticulture team. They are also consulting on planning for two new South African gardens at Eden, one a redevelopment of the existing South African area in the Mediterranean Biome and the other a new outdoor garden recreating the South African veld, or grasslands. The students work for the Grootbos Foundation, part of a luxury eco-reserve on the Western Cape, located about two hours from Cape Town. Khaya Madlebe said: “I feel honoured to be chosen by the Grootbos Foundation to have this once-in-a-lifetime opportunity to come to the Eden Project. I have really enjoyed being exposed to different plants that I would not come across in South Africa and learning about them from the amazing team. “There are so many different plants and insects and every day I continue to see things that I missed the day before. I have learnt a lot of skills about caring for other plants and making sure they remain strong and healthy in the different environments. Catherine Cutler, Eden’s horticultural team leader, said: “We have a longstanding partnership with Grootbos and we are huge admirers of their community and conservation work. The exchange of staff and students has strengthened both our teams.